Through a collaboration between Lervig (Norway) and Hoppin 'Frog (USA) this Martini Chocolate Stout was born, a real treat! 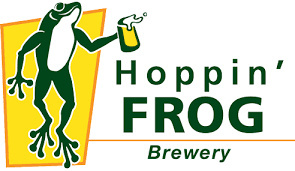 Lervig / Hoppin’ Frog Sippin’ Into Darkness is a collaboration between Lervig (Norway) and Hoppin' Frog (USA). Sippin' Into Darkness is a chocolate Martini Stout with a wonderful combination of flavors such as cocao, vanilla, chocolate, syrup, candy and alcohol.